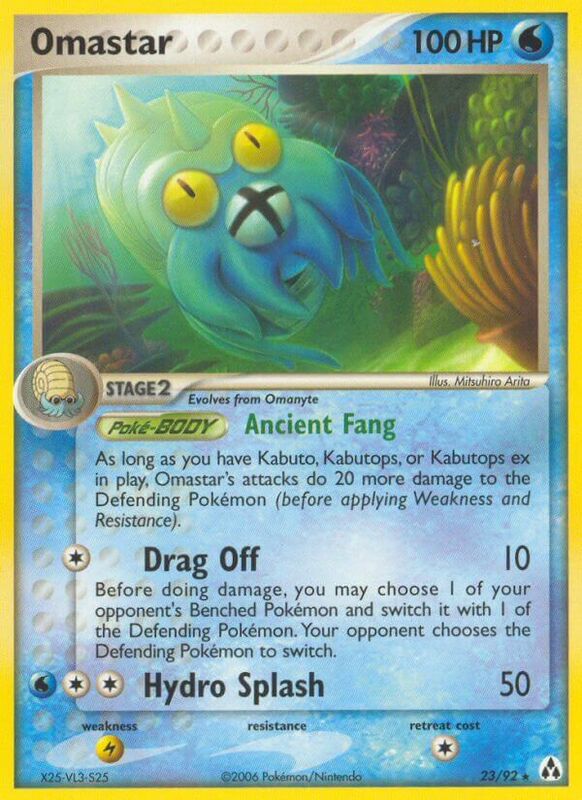 As long as you have Kabuto, Kabutops, or Kabutops ex in play, Omastar’s attacks do 20 more damage to the Defending Pokémon (before applying Weakness and Resistance). Before doing damage, you may choose 1 of your opponent’s Benched Pokémon and switch it with 1 of the Defending Pokémon. Your opponent chooses the Defending Pokémon to switch.